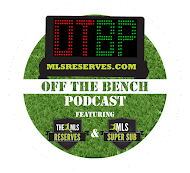 In this very special 100th episode of Off The Bench, Luke Lohr moderates a panel of experts discussing the Next Step of MLS or "MLS 3.0" and what it may entail. Joining us from all aspects of the professional game we have Real Salt Lake GM Garth Lagerwey, SI.com writer and league expert Brian Straus, Kyle Martino of NBC and of course our own Pedro Gomes. With representatives of management, print media and broadcasting on hand, Off The Bench explores the new direction of Major League Soccer. The Charleston Battery and Orlando City are no strangers to winning the USL Pro Championship; in fact they are the only two teams to have done so since the league formed in 2011*. Orlando City won the 2011 Championship game in penalty kicks against the Harrisburg City Islanders, while the Battery beat the Wilmington Hammerheads last season to earn their crown. And in a season where both teams finished 2nd and 3rd in the league it is sure to be a quality match-up of two dangerous opponents. During the regular season, Charleston and Orlando played two matches with Orlando City holding the better record with 1 Win and 1 Draw. At first it might look as though Orlando holds the clear advantage over the battery but the games were fiercely contested and Orlando City pulled off the victory with a late penalty kick. Although both sides seem confident of their abilities to handle their opposition there are a couple of interesting tidbits heading into the matchup that lend a bit of intrigue to the contest. Last season, Orlando City was knocked out of the USL Pro Semi-Finals at home by the visiting Wilmington Hammerheads in a wild 4-3 shootout. Orlando went down 3 goals to none by the 30’ before they scrapped back to score a couple of stoppage time goals to make the last few minutes wildly entertaining. This season, the Charleston Battery will be traveling to Orlando City in hopes of playing spoiler for the second year in a row for the Home team of their Semi-Final match. 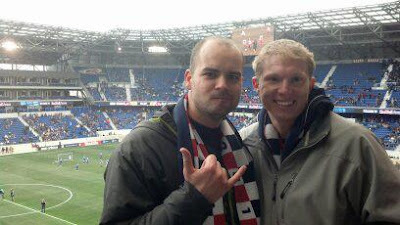 Last year they traveled to Rochester and played to a 1-1 Draw in regular time before pulling out the 4-3 penalty shootout victory. Who scored the first goal in the penalty shootout last year? Nicki Patterson, of course. And as Patterson alluded to in the interview, things seem to be lining up just like they had last season, so you would have to think that the Battery are feeling a bit confident they can pull out the same result again this season. However, good Charleston may be feeling heading into this road matchup, they will still have to face one of the most potent offenses in USL Pro. They scored a total of 55 goals during Regular season play and 5 goals against the Riverhounds in the Quarterfinal matchup. And although they are without a couple of keys pieces that made them a true dominant force in USL earlier in the season, they seem to be finding their scoring groove behind Long Tan and last year’s Scoring Champion, Dennis Chin. Regardless of the outcome, this is definitely going to be an exciting match up with some serious potential for a ton of goals. Add in the sizzling atmosphere created by the over 10,000 fans and supporters in attendance and it is setting up to be the USL Pro game you don’t want to miss. So sit back, switch on USLNation.com and turn your Friday evening into something special. *Note: USL Pro came into existence in 2011 after its predecessors the USL First Division and A-League dissolved. 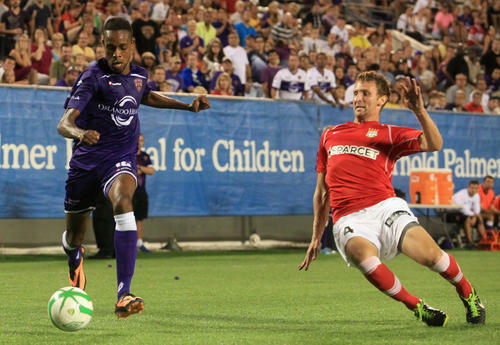 Many of the teams currently in USL Pro have long histories in both leagues. 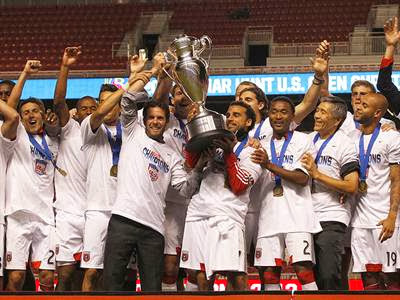 Luke Lohr and Pedro Gomes back again to talk about the more notable results from the weekend of MLS, NASL and USLPRO action. 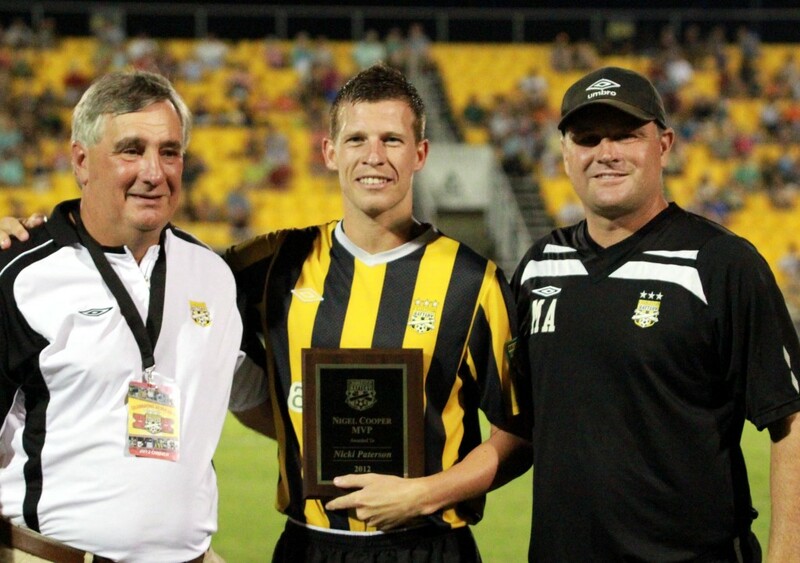 Nicki Paterson of the Charleston Battery joins us to talk about the upcoming semi-final match with Orlando City and how they plan to take home the trophy. Off The Bench, best enjoyed by a warm fire and hot drink... or ice cream. This is the article written by Pedro highlighting the Charlotte Eagles and their unique approach to the game. Check out these incredible goals from Week 26 of MLS Action. As we move closer to September, this MLS season starts to shift more and more to the playoffs. Three teams grabbed three wins this weekend that aided their playoff ambitions and confirmed that they have every intention of being in the running come the end of the season. Two rockets from Giles Barnes propelled the Houston Dynamo to a 3-1 win over the Seattle Sounders, keeping them in the playoff race for now. Barnes got things started in the 17th minute when he caught keeper Michael Gspurning out of position and rifled a shot from inside the 18 into the top corner. Four minutes later, Barnes added another to his tally, this time unleashing a stunning strike from 30 yards that sailed past a leaping Gspurning. Seattle pushed for a goal of their own in the second half and got one on 65 minutes with a header from Shalrie Joseph off a Marc Burch free kick. In this episode Luke Lohr and Pedro Gomes are joined by Alecko Eskandarian to talk about the New York Cosmos, Jose Angulo to talk about his USLPRO co-Golden Boot award and MLS soccer talk. Here is a link to the article Pedro referenced regarding retention funds. No, it does not explain a darn thing. 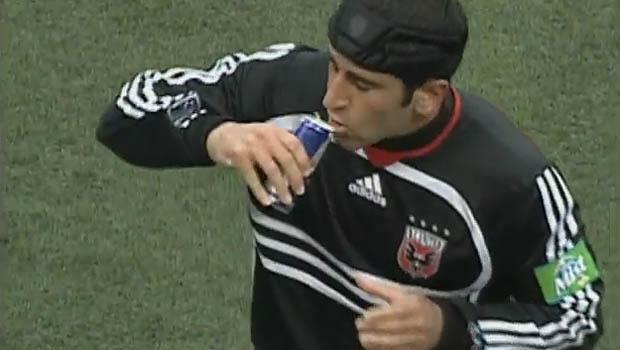 It's hard not to think of this moment when remembering Alecko Eskandarian. We loved it and imagine you would too. Spitting Red Bull out, adding fuel to the fire.